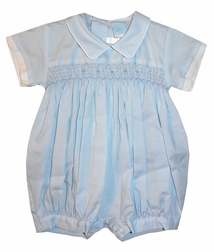 Sweet little blue smocked bubble for baby boys. 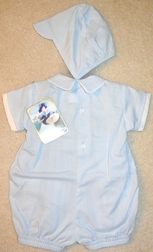 It comes with a matching hat that ties under the chin. Perfect for special occasions and portraits.